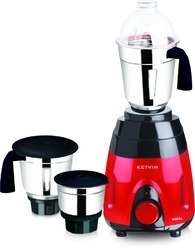 Offering you a complete choice of products which include 750 watts mixer grinder. With huge technical knowledge and industrial experience, we are manufacturing and supplying a wide assortment of 750 Watts Mixer Grinders. Widely demanded in both commercial and noncommercial kitchens, these grinders are manufactured using high-grade material and advanced technology in compliance with industrial standards. To fulfill the diverse requirements of our clients, we offer this excellent quality range of 750 Watts Mixer Grinders in various specifications and at affordable prices.